Local folders are stored in an Outlook PST file and only saved on your computer. Once messages are moved here, they are no longer accessible on the server exist only on your computer. This allows you to keep messages indefinitely without filling up the Account. The following steps will walk you through how to set up a local folder in Outlook 2013 As a caution here: moving massive amounts of emails at one time can take a long time to process so please don't stop even if it appears that Outlook isn't responding. We recommend to move a few hundred emails at a time, not thousands. 1. 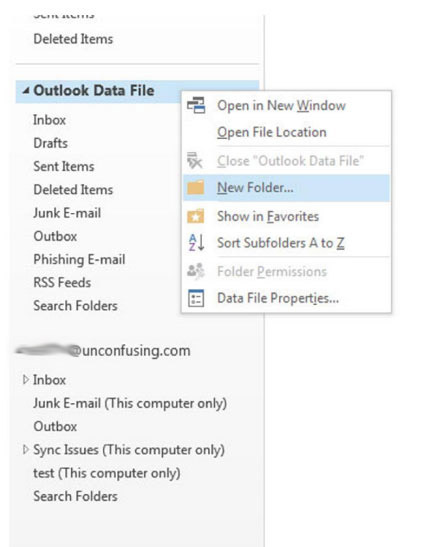 Right click on the Outlook Data File and select New Folder. Note your "Data File" may be called something else but should still contain the option "data file properties" if you have selected the right one. 2. 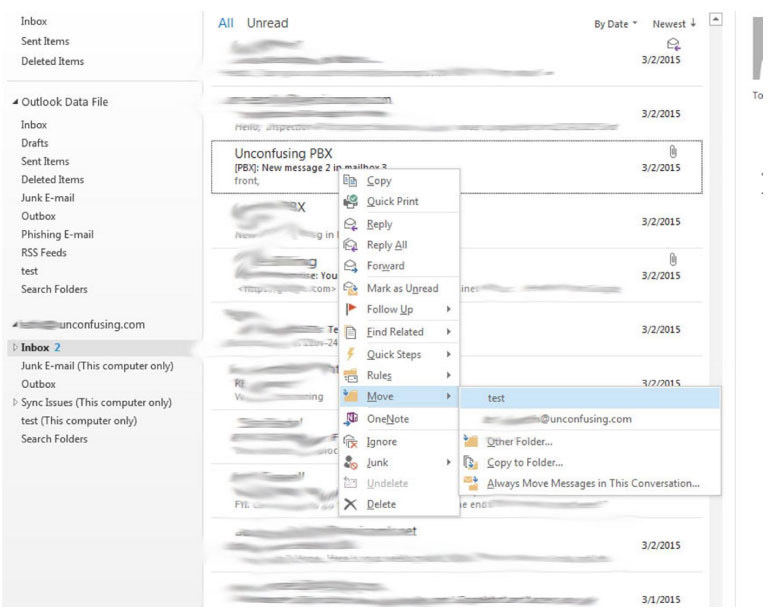 Move email to the new folder by selecting the emails, right clicking, and selecting Move. You will then see a fold out menu with your new folder in it. It is the one that does not have the email address label with it. You can also use the toolbar to Move emails.